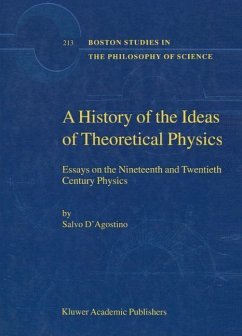 This book presents a perspective on the history of theoretical physics over the past two hundreds years. It comprises essays on the history of pre-Maxwellian electrodynamics, of Maxwell's and Hertz's field theories, and of the present century's relativity and quantum physics. 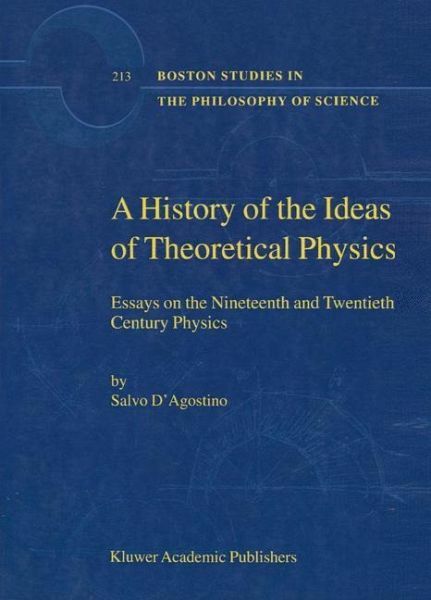 A common thread across the essays is the search for and the exploration of themes that influenced significant con ceptual changes in the great movement of ideas and experiments which heralded the emergence of theoretical physics (hereafter: TP). The fun. damental change involved the recognition of the scien tific validity of theoretical physics. In the second half of the nine teenth century, it was not easy for many physicists to understand the nature and scope of theoretical physics and of its adept, the theoreti cal physicist. A physicist like Ludwig Boltzmann, one of the eminent contributors to the new discipline, confessed in 1895 that, "even the formulation of this concept [of a theoretical physicist] is not entirely without difficulty". 1 Although science had always been divided into theory and experiment, it was only in physics that theoretical work developed into a major research and teaching specialty in its own right. 2 It is true that theoretical physics was mainly a creation of tum of-the century German physics, where it received full institutional recognition, but it is also undeniable that outstanding physicists in other European countries, namely, Ampere, Fourier, and Maxwell, also had an important part in its creation. Introduction. Part One: from Mechanics to Electrodynamics. 1. A Consideration on the Changing Role of Mathematics in Ampère's and Weber's Electrodynamics. 2. A Survey of Theories of Units and Dimensions in Nineteenth-Century Physics. 3. An Historical Role for Dimensional Analysis in Maxwell's Electromagnetic Theory of Light. 4. Problems of Theoretical Physics in the Second Half of the Nineteenth Century. Part two: Electromagnetic Waves. 5. German Electrodynamics in the 1870's. 6. Hertz's Experiments on Electromagnetic Waves. 7. Hertz's 1884 Theoretical Discovery of Electromagnetic Waves. 8. A Foundation for Theoretical Physics in Hertz's Introduction to Principien der Mechanik. 9. On Boltzmann's Mechanics and His Bild Conception of Physical Theory. Part Three: From Relativity to Quantum Theory. 10. Einstein's Correspondence Criterium and the Construction of General Relativity. 11. Einstein's Life-Long Doubts on the Physical Foundations of the General Relativity and Unified Field Theories. 12. Correspondence and Complementarity in Niels Bohr's Papers 1925-1927. 13. From the 1926 Wave Mechanics to a Second-Quantization Theory: Schrödinger's New Interpretation of Wave Mechanics and Microphysics in the 1950's. 14. Conclusions. Notes. Bibliography: Primary Sources. Bibliography: Secondary Sources. Index.